The cacao benefits are many, containing high levels of antioxidant and fiber. 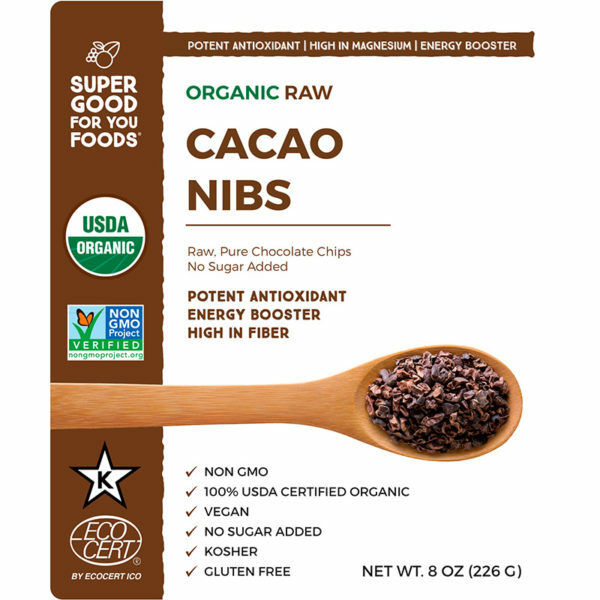 Use these powerful cacao nibs wherever you would normally put chocolate chips, for a natural infusion of anthocyanidin and epicatechin: the potent antioxidant flavonoids found in cacao. 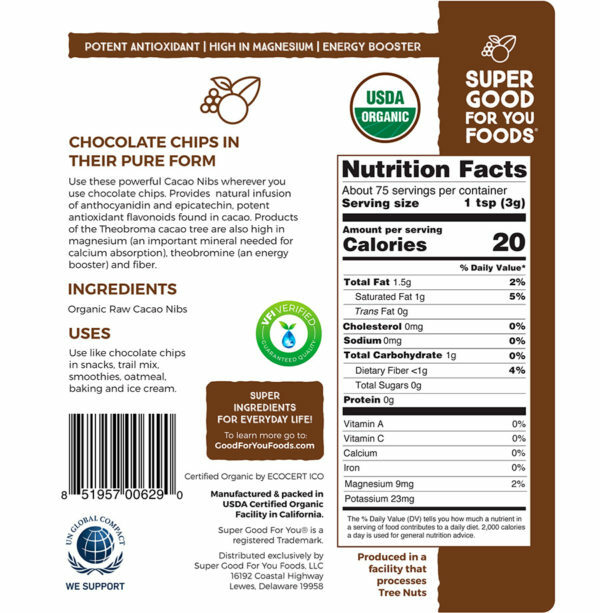 Products of the Theobroma cacao tree are also high in magnesium (an important mineral needed for calcium absorption) and theobromine (a healthy energy booster). 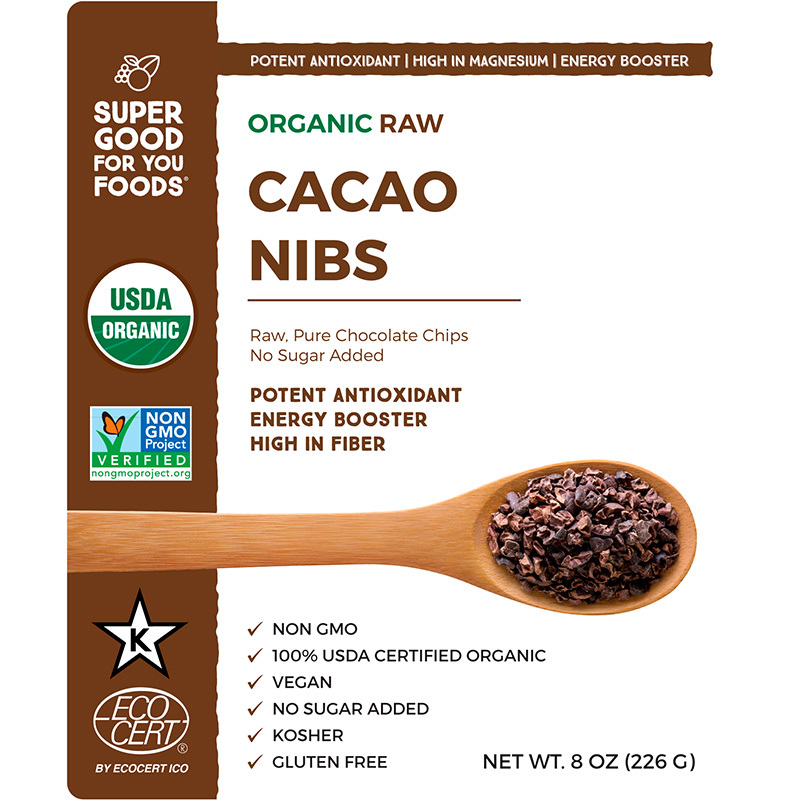 Cacao nibs, the historic Mesoamerican “Food of the Gods”, works great in trail mix or simply as-is. Both cacao powder and raw cacao nibs contain high levels of vitamins and minerals such as magnesium and fibre. 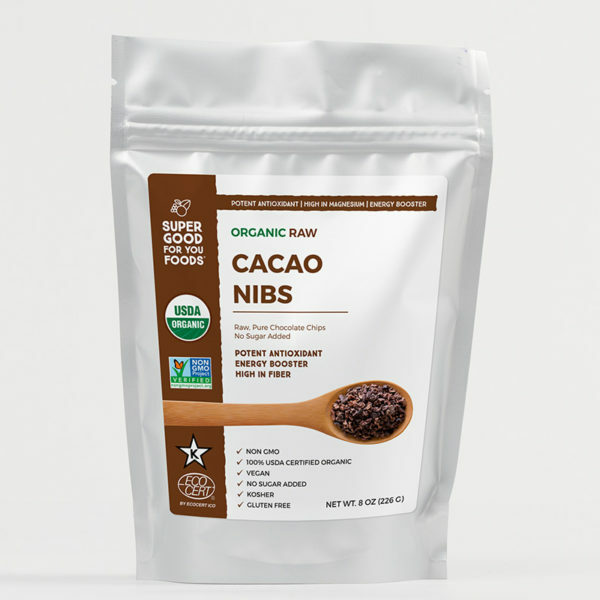 Cacao nibs is also a great source of potassium and iron, as well as being high in antioxidants that help relax your blood vessels and lower your blood pressure. We’re all about that Field-to-Fork Freshness— with very few stops along the way. 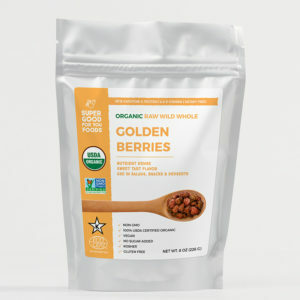 Our quick order processing and Priority Mail shipping brings Cacao Nibs with no unnecessary delays. 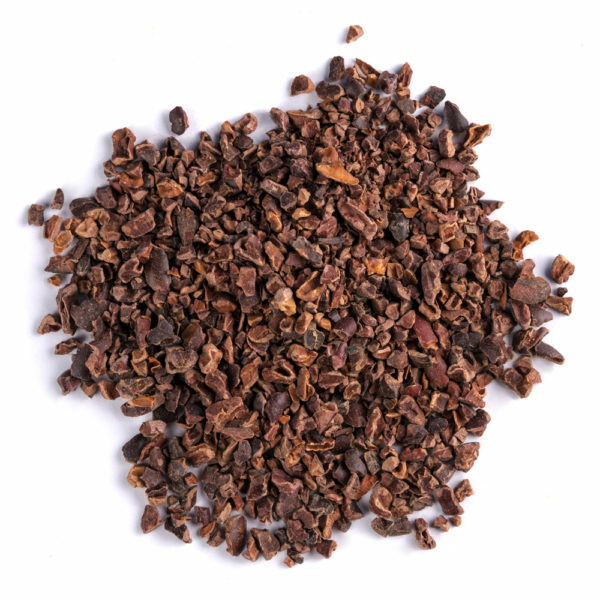 A broad-leafed evergreen from the deep tropical regions of Central and South America, cacao only grows between 20 degrees north and south of the equator . To keep cacao’s stellar antioxidant profile intact on its journey to your kitchen, we sell our cacao nibs raw.